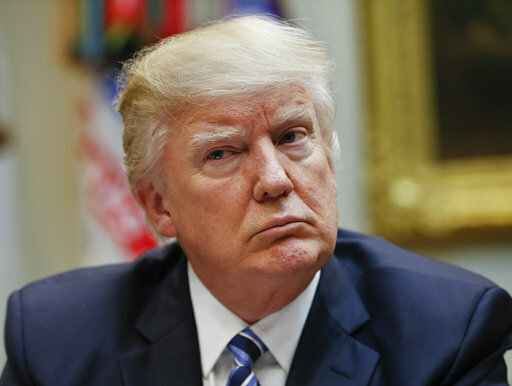 WASHINGTON (AP) — President Donald Trump earned $153 million and paid $36.5 million in income taxes in 2005, paying a roughly 25 percent effective tax rate thanks to a tax he has since sought to eliminate, according to newly disclosed tax documents. The pages from Trump’s federal tax return show the real estate mogul also reported a business loss of $103 million that year, although the documents don’t provide detail. The forms show that Trump paid an effective tax rate of 24.5 percent, a figure well above the roughly 10 percent the average American taxpayer forks over each year, but below the 27.4 percent that taxpayers earning 1 million dollars a year average were paying at the time, according to data from the Congressional Joint Committee on Taxation. The tax form was obtained by Pulitzer prize-winning journalist David Cay Johnston, who runs the website DCReport.org, and reported on MSNBC’s “The Rachel Maddow Show.” Johnston, who has long reported on tax issues, said he received the documents in the mail, unsolicited. Trump took to Twitter early Wednesday to cast doubt on Johnston’s account. Tax records obtained by The New York Times last year showed the losses were so large they could have allowed Trump to avoid paying taxes for up to 18 years. But Trump’s 2005 filing shows that another tax prevented him from realizing the full benefit of those deductions. The White House has not said whether the president plans to release his returns while he’s in office. More than 1 million people have signed a White House petition urging the president to release them. Associated Press writer Jonathan Lemire in New York and Vivian Salama in Washington contributed to this report.